The Final Game of the 2017 Season This Friday Night! Last Chance To Help Us Defeat Childhood Cancer! Bulldogs look to bounce back against Edmond North Friday Night! 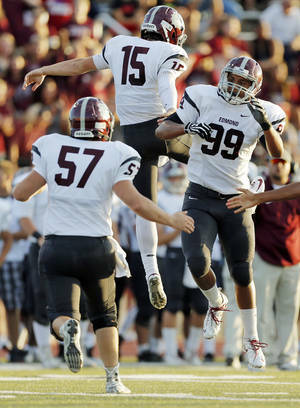 Edmond Memorial Makes Playoffs For Third Straight Year! Memorial beats Santa Fe for second straight City Championship! Want to score? Don’t play Edmond Memorial!